His Royal Highness Crown Prince Sultan bin 'Abd al-'Aziz Al Sa'ud died Saturday at the age of 80 while in New York City for medical treatment. The prince had been in ill-health for a number of years and was suspected of suffering from Alzheimer's disease. The crown prince was well-known to many Americans (including me) from his service as the Minister of Defense and Aviation during Operation Desert Shield and Operation Desert Storm in 1990 and 1991. The prince was a gentleman, a friend of the United States and a pleasure to work with - he would have made a fine king, and I mourn his passing. Of note, he was also the father of Prince (Lieutenant General) Khalid bin Sultan bin 'Abd al-'Aziz Al Sa'ud, commander of Saudi and Arab forces during the war (who was not always a pleasure to work with). 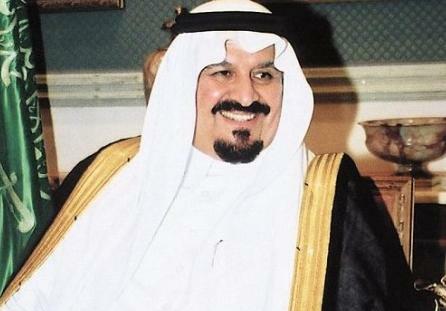 King 'Abdullah, the crown prince's older brother, was at the airport in Riyadh to receive the body. The king, now 87, was seen in a wheelchair and a surgical mask, underscoring the health issues that plague the surviving sons of the founder of the kingdom, King 'Abd al-'Aziz Al Sa'ud. When the kingdom was founded in 1932, King 'Abd al-'Aziz established the succession to be from his sons, from brother to brother, not from father to son. Normally the oldest surviving son was the first choice, but not always. When kings have died, the surviving sons of King 'Abd al-'Aziz have gathered and selected the new king by consensus. This system has been in place since the death of King 'Abd al-'Aziz in 1953. With 37 sons, there did not seem to be any urgency to provide for further succession. However, the youngest of the founder's sons (Muqran bin 'Abd al-'Aziz) is now 66 years old. At some point, the family will need to come to terms with selecting a monarch from the next generation - that may cause divisions in the family. There are already rivalries among the various groups based on their different mothers. Given the close relationship between the United States and the Kingdom of Saudi Arabia, it is in America's national interest that there continue to be smooth transitions of power in Riyadh. To address this issue, in 2006 King 'Abdullah created the Allegiance Council, comprised of 35 princes charged with determining, in consultation with the king, who will become the new crown prince. It is widely rumored that Nayif bin 'Abd al-'Aziz, who has been the extremely powerful Minister of the Interior since 1975, will be the next crown prince. Nayif is also one of the powerful "Sudayri Seven," a set of full brothers who include the former King Fahd and the late crown prince. Nayif is 78, so still may be able to serve for years as king following the death of his older brother 'Abdullah. Assume that he becomes king in 2013 and serves for 10 years. That means that Muqran, the youngest of the first generation would be 78 at that time, and could possibly serve for ten years or so. Then the real issue surfaces. Who in the second generation becomes the king? As long as the United States imports most of its oil ( a situation that unfortunately I do not see changing anytime soon), it is essential that there be a friendly monarch on the throne in Riyadh. That means smooth successions from the brothers and later to the next generation. * Please note the difference in the transliterations of the Arabic al- and Al. In the name 'Abd al-'Aziz, al- is the Arabic definite article "the." The word Al in Al Sa'ud, Al is the word for "house of" or "family."